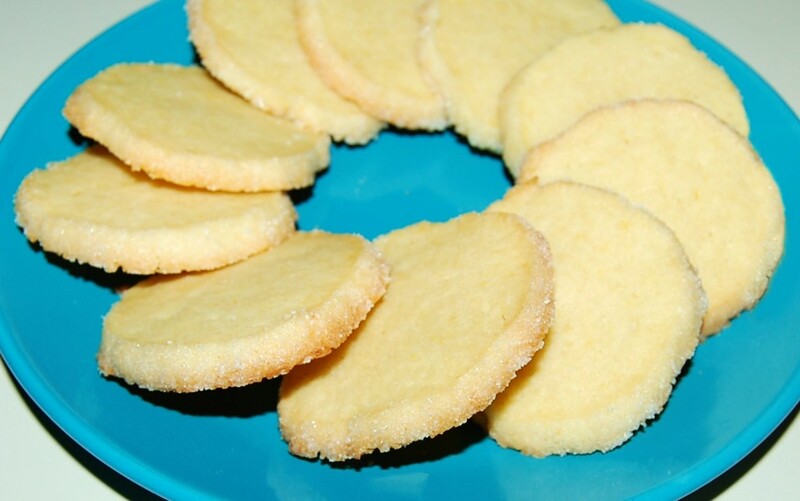 Enjoy these light and tangy cookies with your favorite coffee or tea. 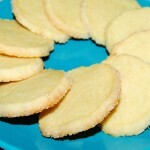 In a food processor, pulse flour, confectioners' sugar, salt, and lemon zest until combined. Add butter and process until sandy. Add egg yolks and lemon juice, pulse until dough comes together. Divide dough in half and form each into a 1-1/2 inch-wide log. Wrap in plastic and freeze until firm, about 2 hours. Preheat oven to 350 degrees, with racks in upper and lower thirds. Spread granulated sugar on a piece of parchment, roll logs over sugar to coat. Slice logs into 1/4 inch thick slices and arrange, 1 inch apart, on two parchment lined baking sheets. Bake until cookies are golden brown around edges, about 15 minutes, rotating sheets halfway through. Transfer cookies to wire racks to cool. To store, cover and keep at room temperature, up to 5 days.